I think my kids' hair grows even faster than they do! 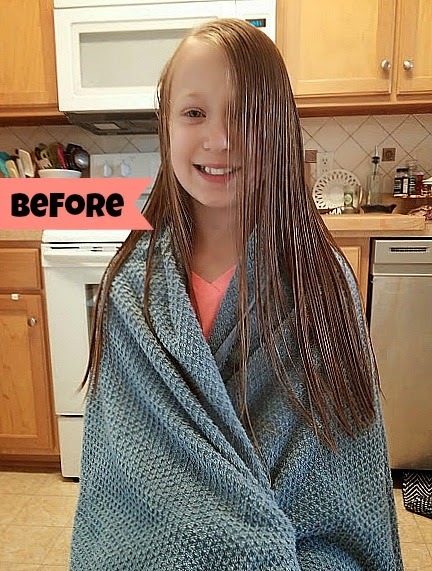 Little Diy has been bugging me to trim her hair for awhile now and I want to share some easy tips to cutting or trimming long hair. 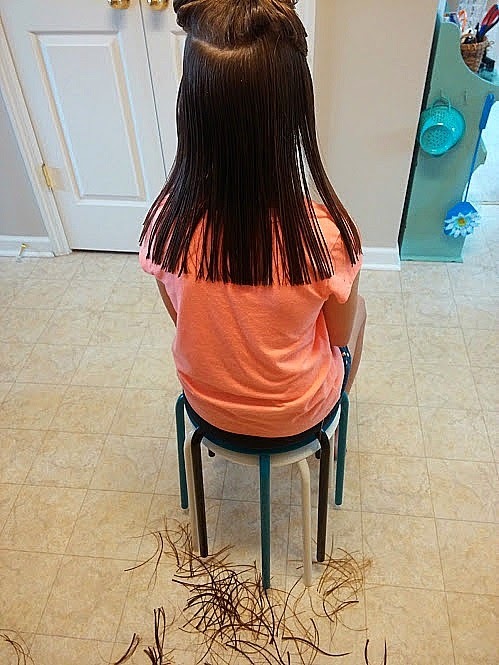 She wanted several inches cut off so it would be easier for summer, and not so hot. I am by no means an accomplished hairdresser! Back in college I trimmed Mr. Diy's hair and left a bald spot on one side...he had to go and have it fixed! However, I'm not afraid to cut my kid's hair, and I've often found that the job I do is nearly as good as the cut they get at the cheapie walk-in salons...so I'd rather just save myself the money and do it myself. Cutting Little Diy's hair is by far the easiest! There's no trimming around the ears (my least favorite thing) or the neck. It's a simple matter of making sure the ends are even. 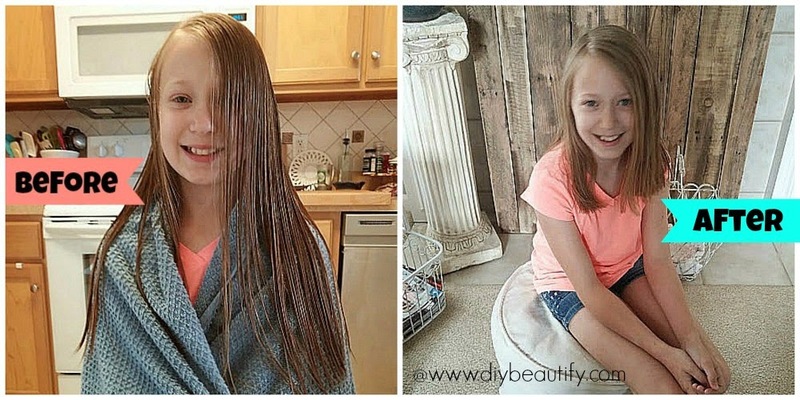 There's a trick to it, and I'll share it with you so you can easily cut your daughter's hair too...all from the comfort of your own home...and save yourself some money! The first thing is to make sure it is very wet (a spray bottle comes in handy), and then use a wide tooth comb and comb all the tangles out. If the hair is really tangled, rub a little conditioner between your palms and work it through the hair; it will make the job easier. Depending on the thickness of your daughter's hair, you will need one (or more) big clips. 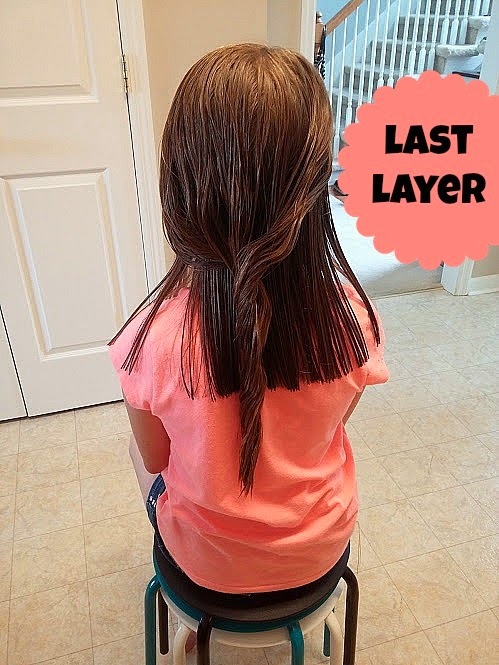 You're going to think of the hair in terms of 3 horizontal sections, the bottom section is what we're going to cut first, so we want to clip up all the rest of the hair. Nice face, right?? She's such a ham! Divide the first section straight around so you have a nice, straight line. 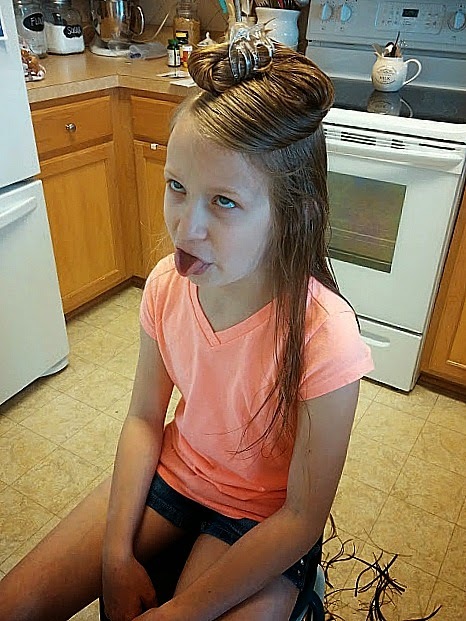 Twist and clip the rest on the top of her head. Spray the hair with water again if you need, to ensure it's nice and wet. And make sure she is keeping her head straight, not tilted. I started at the back in the middle, drew the comb straight down the hair and made my cut, repeating all the way around snipping it evenly. When the hair is wet, it lays flat and there are no flyaways so not only is it easier to cut but you are more apt to cut it evenly. Once you've cut this first section, stand in front of her and compare the sides, making sure both sides are the same length. Make adjustments as needed. Now it's time to let down another section of hair. Twist and clip up the rest. Wet as needed. Starting at the middle back, draw the comb down nice and tightly and snip the hair right at the length of the first section. The clipped first section works as the perfect guide. Work your way around the head in this manner until the second section is done, going back over and making sure it's all even by combing through it. Here is Little Diy's hair after the second section of hair had been cut. You can see that it is wet. You can see the straight line right across (easy to do when it's wet and when you use your comb as a guide). Let down your last section...we're almost done - YAY!! Wet the hair again...Oh, and you can see that we discarded the towel...my comb's tines kept getting caught in the terrycloth. It was much easier without it! So proceed with this last layer just like you did with the first two. Comb through each strand before cutting to loosen any knots and make sure it's laying as straight as possible. Snip, Snip! She was IN LOVE with her bouncy new haircut!! So swingy! 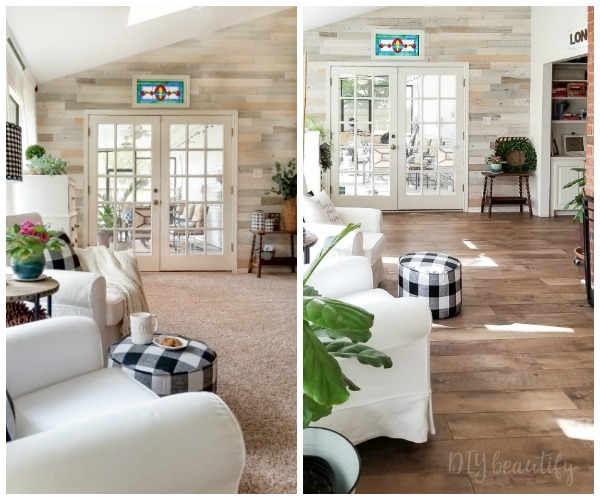 I hope you found this walk-through helpful! If you have any questions, please don't hesitate to shoot me an email. There's a contact form at the bottom of the page. Thanks so much!! 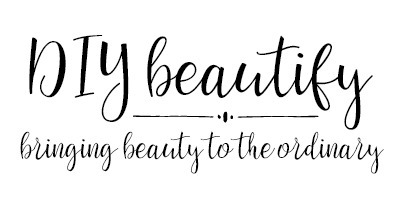 Hope you're having a fabulous week! 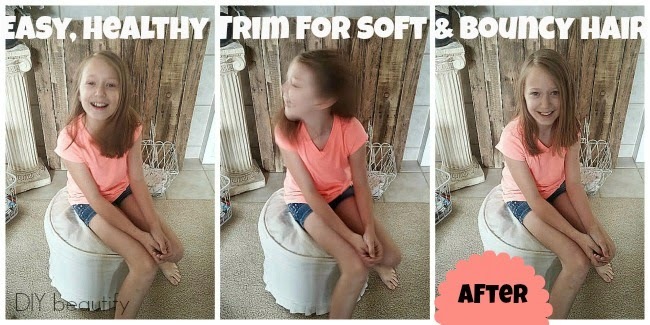 If you use these tips to cut your daughter's hair, please take the time to drop me a note and let me know. I'd really appreciate it. 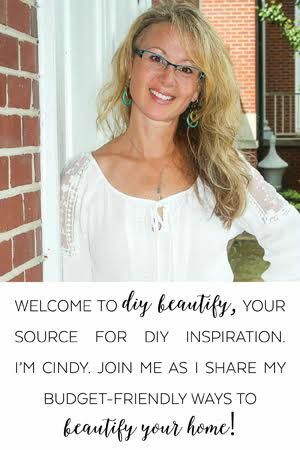 Have you wanted to take the leap to monetizing your blog and actually making an income from it? It's not that complicated to become an affiliate - really! One of my favorite companies to partner with is One Kings Lane! 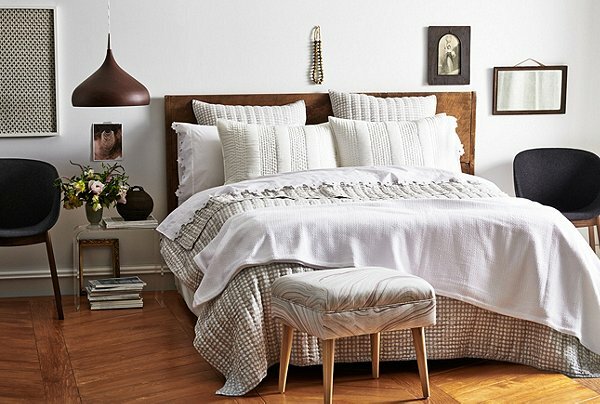 They offer beautiful furniture and accessories that really sell themselves. 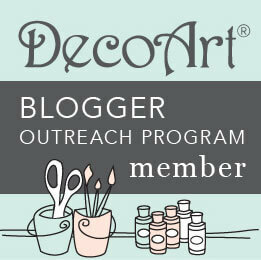 Their generous commission for each sale (5-20%) as well as affiliate referrals makes them an ideal partner. Why not sign up for their affiliate program today. When you are approved, I make $10! It's that easy...and it can be for you too! ShareASale is a wonderful affiliate marketing network that you can join to find literally hundreds of companies who want to work with you (like One Kings Lane)! When you are approved within their network, you get links to their banners and make a commission on every lead and sale! This is just the start. 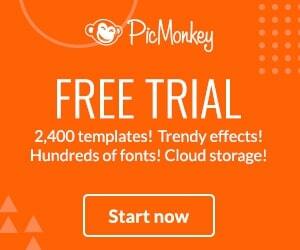 You may have noticed ads and banners in my sidebar. 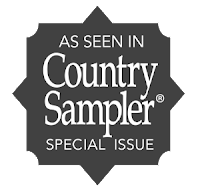 I've tried to pick companies and products that will interest my readers! If you have any questions...or advice...just shoot me an email; I'd love to hear from you! Great tutorial and I love that face! thanks for sharing with SYC. I love that face too :D Thanks for stopping by!